I bought these brushes yesterday and I’m totally smitten. They’re eco friendly, affordable and cleaning them was effortless. The bristles are made from 100% recycled polyester, the handles are 100% bamboo (very sustainable) and even the packaging is made from totally recycled materials. 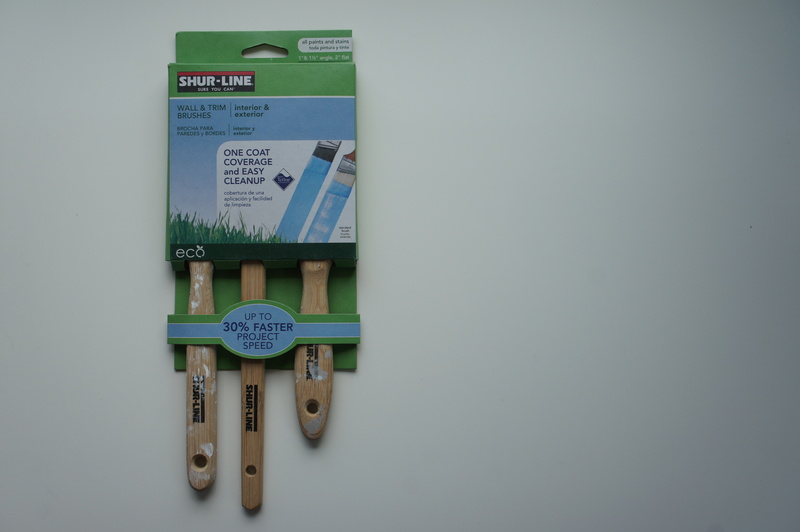 Here’s the kicker: the package of three was about $14, a few bucks less than other high quality brush sets and a few bucks more than the cheapo kinds. Lemme tell y’all… they work really, really well. The coverage was smooth and even, I hardly had any touching up to do in the end. And because the bristles are teflon coated (bad for eating, fine for painting) the paint just slid off the brush when it was time to clean up. I spent less time painting and more time hanging out with my boo– and because the clean up was so easy, I will use them again (unlike the many brushes I’ve tossed out because of dried paint). Disclaimer: Ain’t nobody at Shur-Line or anywhere giving me money to tell y’all about this product. Just spreading the good word to all my DIY friends. P.S. With all this painting, dontcha know there’s some before and afterin’ on it’s way. For a sneak peek, check out my pinterest board on the project. Posted in Uncategorized and tagged diy. Bookmark the permalink.